Wonderful figure of lovely pictured girl with a butterfly. 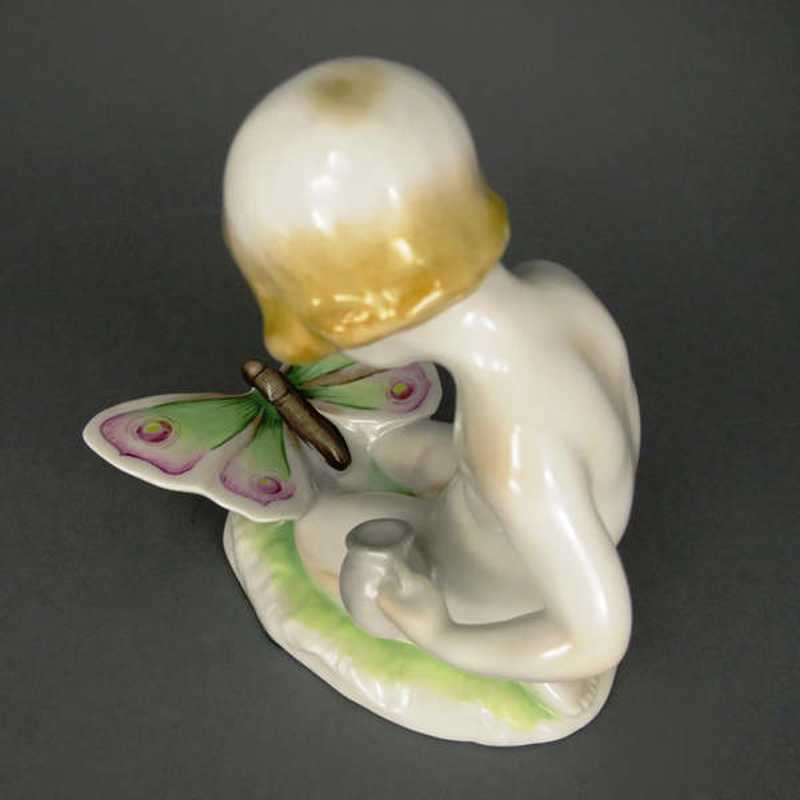 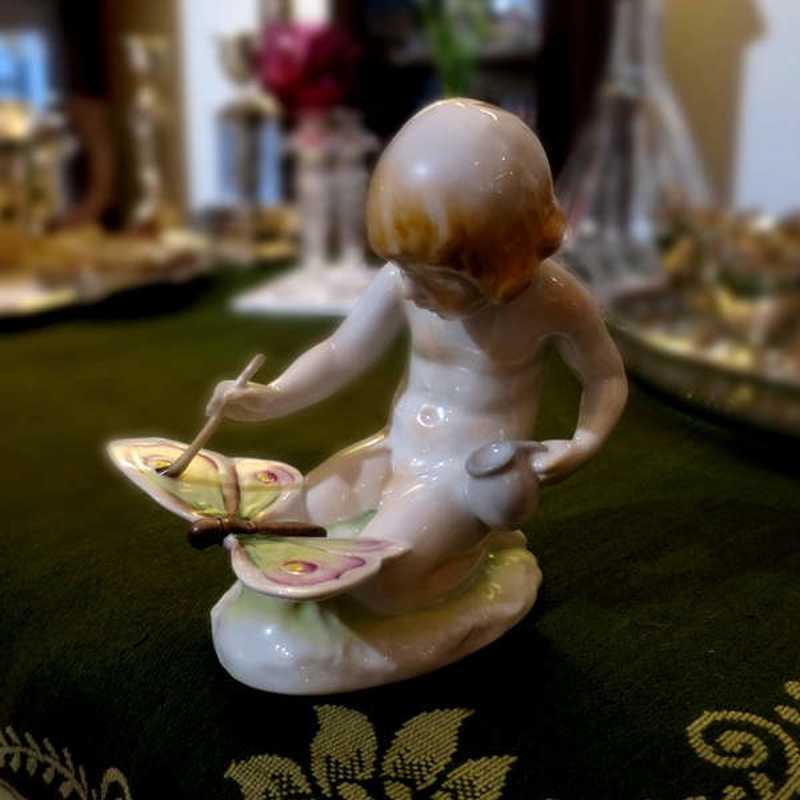 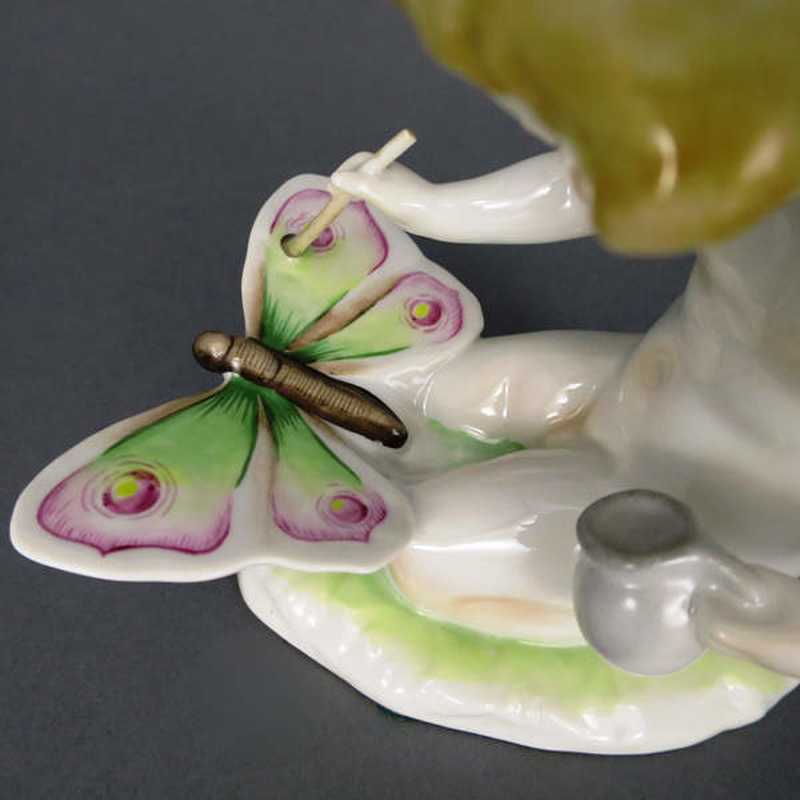 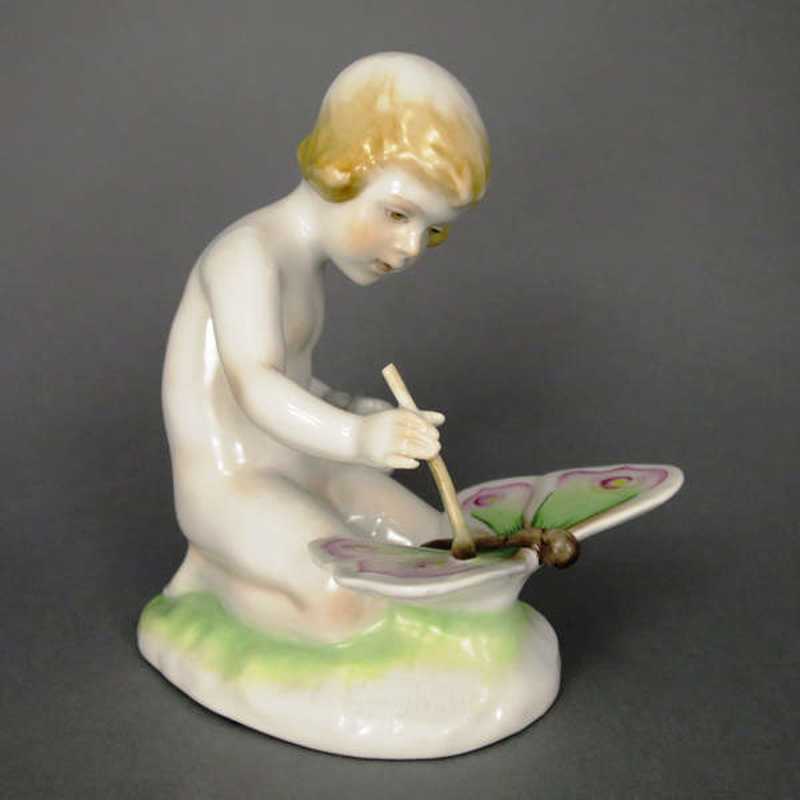 The figure is naked, she is kneeling down, holding in her left hand a small pot and in the right hand a brush, whith which she is painting the butterfly. 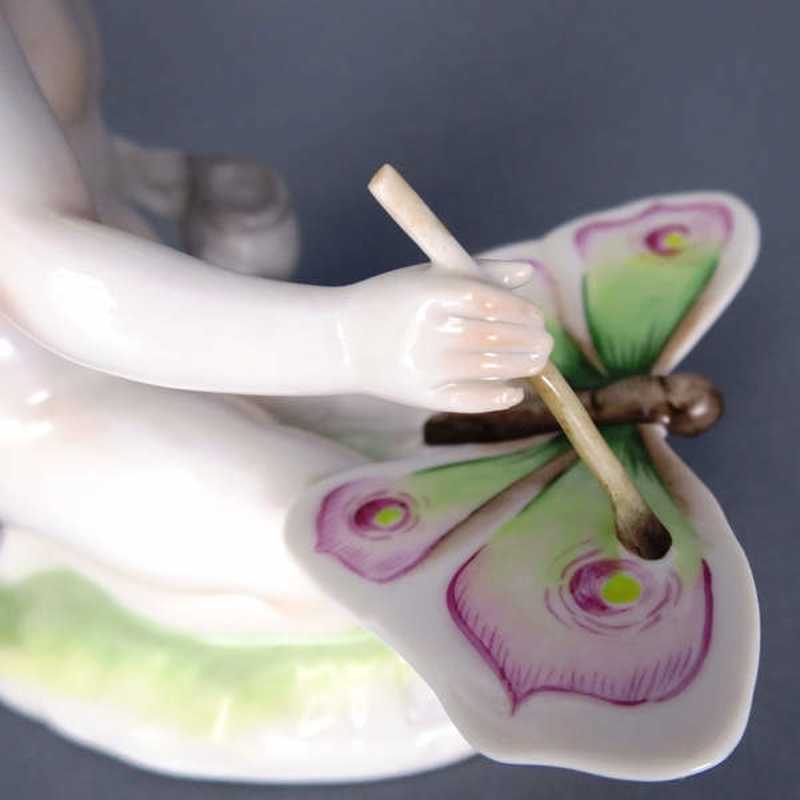 Made in the porcelain manufactory Aelteste Volkstedter Porzellanmanufaktur together with Schwarzburger Werkstätte für Porzellankunst. Design Georg Wolf. 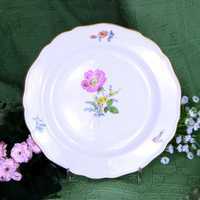 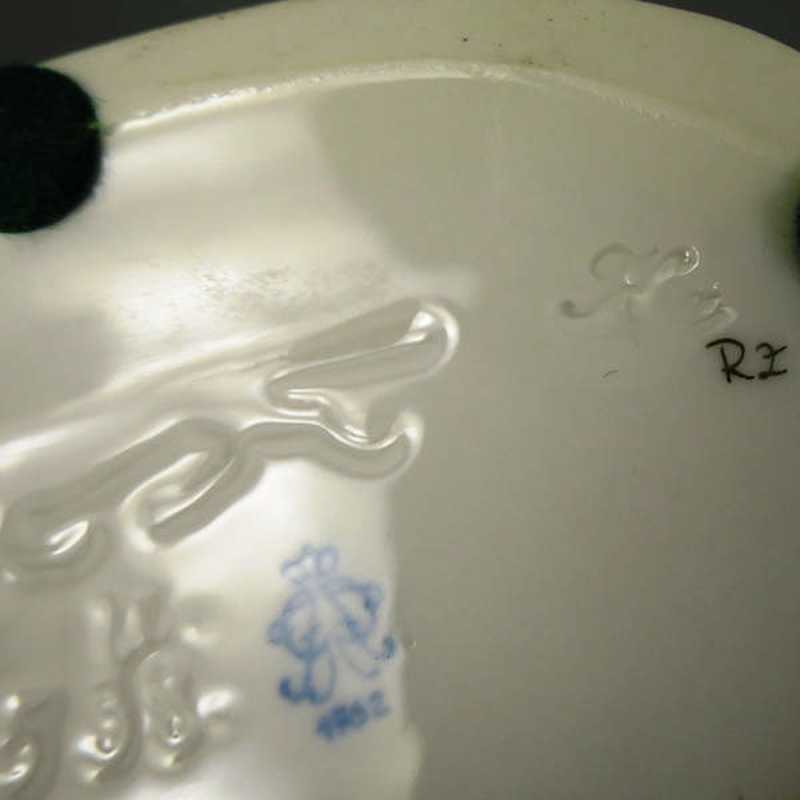 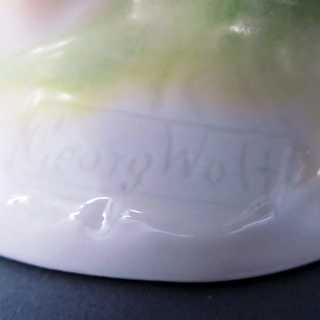 Pressed marks, blue marks under glaze, signature of the designer and a painter signature. 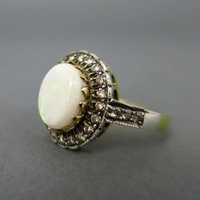 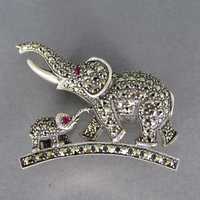 Made about 1914/20. 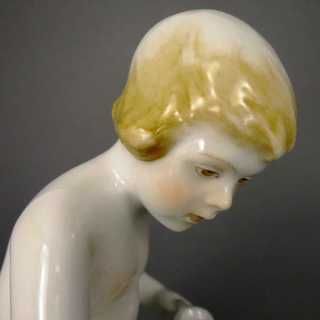 Condition very good, no chips.